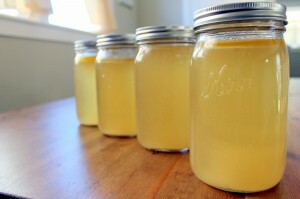 Do you, like me, love the idea of drinking and using tons of broth in your cooking, both for flavor and increased nutrition and gut-building amino acids? But you don’t have room to store gallons of chicken stock at a time in your fridge, so you end up just making a few quarts, using that in a few days, and forgetting about it again until the next weekend when you’re cooking a whole chicken again? Let me tell you about broth cubes! These little wonderful cubes sit in a ziplock bag in my freezer and are tossed into soup, sauces, and even just added to a cup of hot water for a cup of broth on a chilly afternoon. These little guys are so easy – broth is super easy to make, but if you make more than 3-4 quarts at a time, storing it can be problematic. With these cubes, I make 1-2 gallons of broth at a time, and then have broth cubes for weeks… unless I give them away (but honestly, I love to give them away too). I use them all week long in most of our dinner dishes. 2. 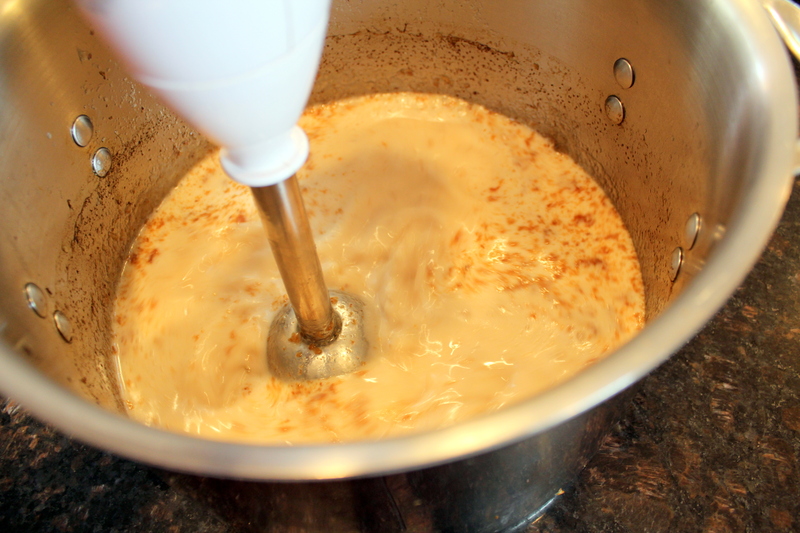 Reduce the gallon down to 2-3 cups by simmering with the lid off. 3. 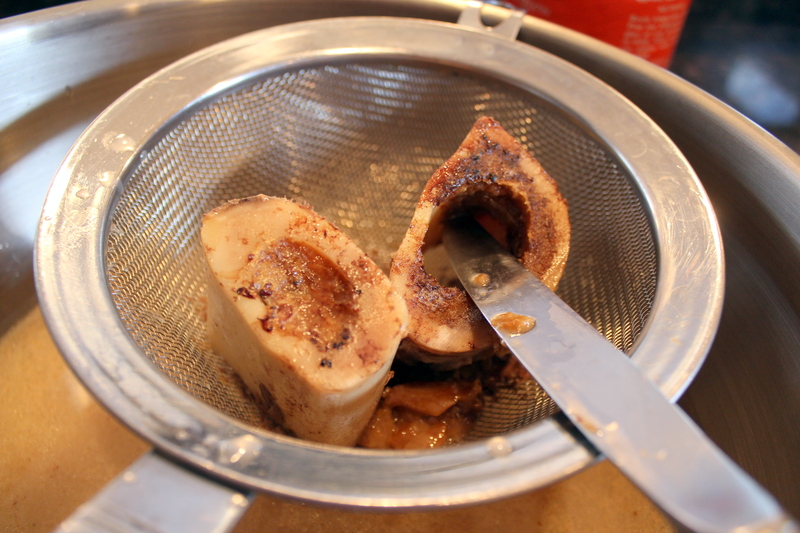 Scoop out marrow from bones (break open chicken bones if using chicken) and add into reduced stock. 5. Add 2/3 cup grassfed gelatin (buy gelatin here).. This can be done when the stock is cool or warm. 6. 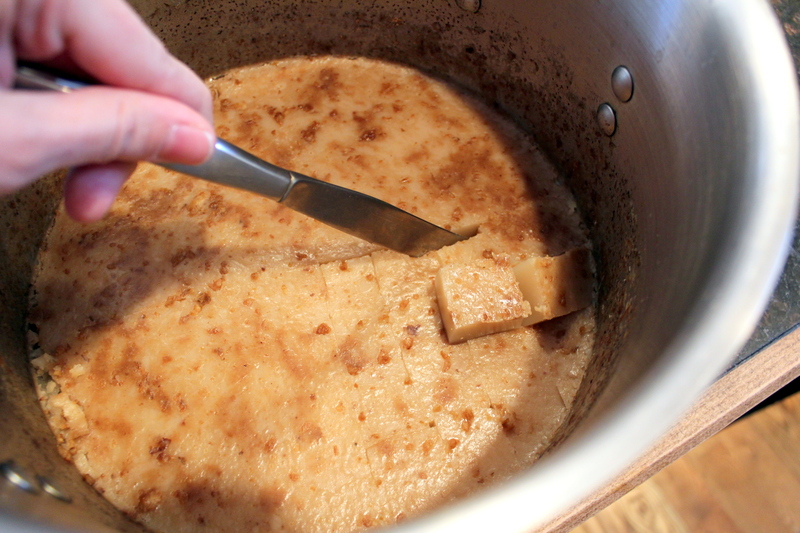 Use an immersion blender to puree the marrow and throughly mix the gelatin. 7. Simmer again over medium-low heat until gelatin is melted in. 8. Remove from heat and chill 2+ hours. I often chill right in the stock pot (yay for one-pot projects!). 9. Cut into 1″ cubes. 10. 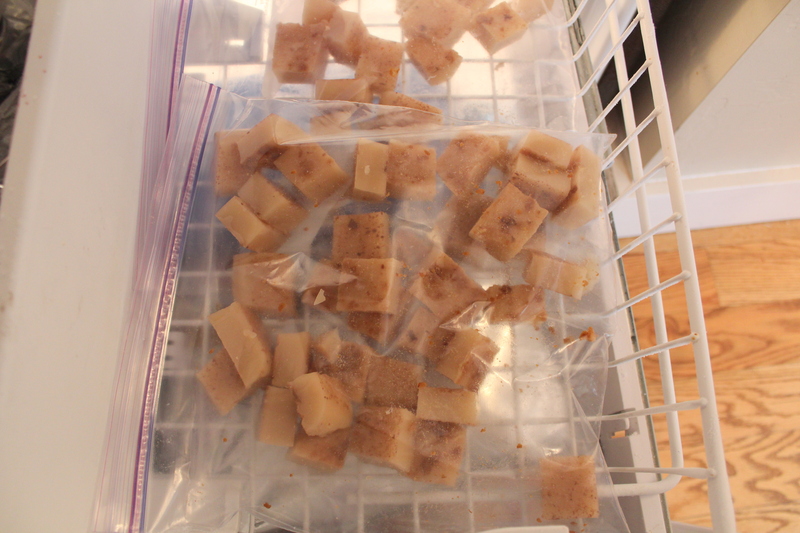 Transfer cubes to freezer bags, laying flat to freeze. They can be touching in places, but they’re easier to get out individually if they are not completely touching. Once frozen, the bags can be stored upright or wherever they fit. 11. 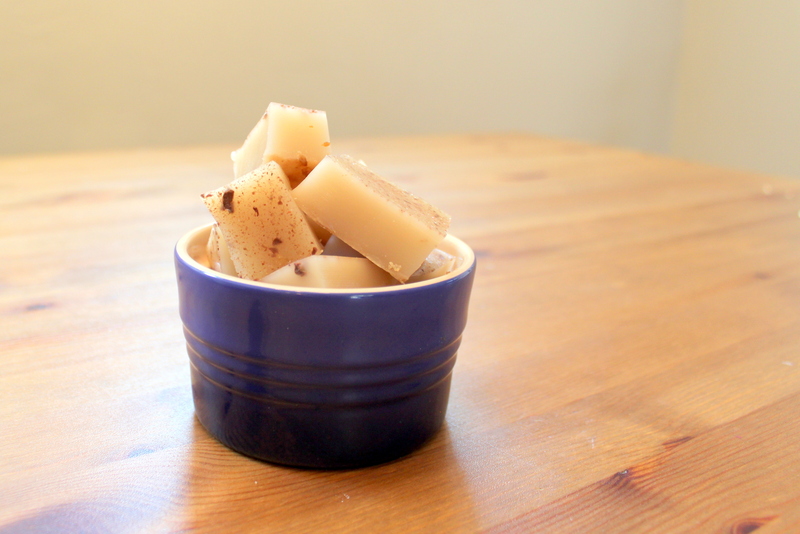 To use in recipes, use one cube in 1 up of hot water in place of 1 cup chicken stock. This makes soups go together super quickly! Cut some veggies, add in a couple broth cubes, and then simmer. The cubes can also be added to scrambled eggs (yum! ), sauces, and used in place of water to saute veggies in. What is the idea of adding gelatin. I usually find the finished product jells quite well without adding anything extra. Thank you. The added gelatin allows it to be more portable (to take on a trip, etc, and it won’t melt as easily) and also adds increased nutrition. Hi Cara – doesn’t the long reduction simmering time lead to an increase in amines? Many people are sensitive to these. I’m wondering how one can measure this! Thanks! I believe I”ve heard of that, though I’ve also heard it’s vigorous boiling and not simmering. We aren’t sensitive to amines, so it hasn’t been an issue for us. This has been exactly my dilemma about bone broth! I want it all the time but don’t have the storage capacity in my fridge and freezer. 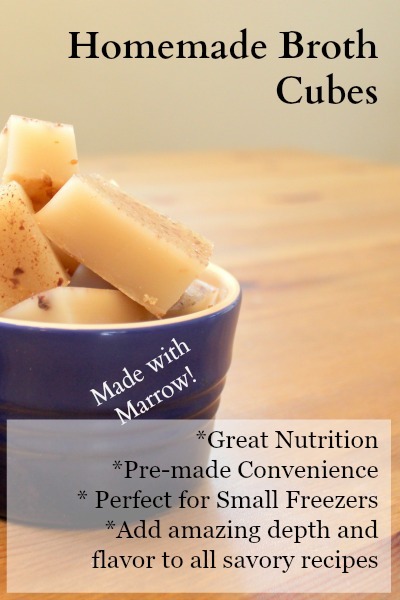 These bouillon cubes make an excellent solution. Thank you thank you thank you!! Can I make this without any salt? I’m thinking about adding herbs and spices rather than salt. The salt helps preserves it, I’ve done it without salt before though. I am wondering how you break open the chicken bones to get the marrow out? I can never get them to break. If I’ve cooked mine 12+ hours they do, pre-cut beef bones are easier though, that’s what I show in this pic. 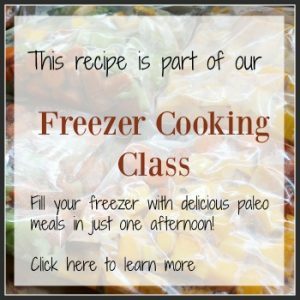 I’ve never thought to add a gelatin to the broth cube prior to freezing! Excellent idea. I would just use a silicone muffin tin, but yours are handled easier! Once cooked with defrosted stock cubes, can I freeze the meal (that has that stock in it)? How long does it take to reduce the stock from 1 G to 2-3 cups? It takes a while – a few hours.